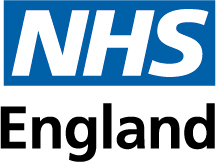 We are one of seven regional teams established by NHS England and NHS Improvement to deliver commissioning responsibilities at a local level across England. We cover healthcare commissioning and delivery across the London region and provide professional leadership for the following functions: finance, nursing, medical, specialised commissioning, patients and information, human resources and organisational development, and assurance and delivery. As your first point of contact with the NHS, we want to make it easier and faster for you to see your GP so we are working closely with GP practices and Clinical Commissioning Groups (CCGs) to improve the quality and efficiency of service you receive. This includes working with GPs to improve their out-of-hours service, reducing waiting times for appointments and making quality standards consistent throughout the capital. Cancer services are being transformed through our work with the London Cancer Alliance and London Cancer – NHS, academic health science centres, and voluntary sector partnerships – and a Cancer Commissioning Board. We will detect more cancers earlier by raising public awareness with our ‘Get to know cancer’ campaign, cancer pop-up shops and the recruitment of cancer activists – volunteers trained to talk about cancer within their local communities. With GPs, we are also developing three best practice, early detection care pathways for ovarian, lung and colorectal cancers to help make further improvements to patient outcomes and experience. More than one million Londoners have a mental health condition. Our aim is to get better at preventing mental illness, especially in the early years, and build resilience in young people. We want to integrate mental health and physical healthcare to ensure that people with long-term conditions, who also have mental health conditions, are supported appropriately. We will continue providing appropriate healthcare services in the Criminal Justice System. Dementia is a big priority – we are working to ensure dementia patients receive the best care when they see a specialist, their GP, attend A&E, or another community-based healthcare provider. We are working across all areas of the NHS to ensure that patients with dementia live well whether at home or in a care home. We oversee any substantial changes to services in the capital and ensure they offer clear health benefits and are based on sound clinical evidence. For instance, we know that patients get better results for some treatments if services are centralised onto fewer larger sites and they have access to staff with specialist skills and the best equipment. We are currently working with Trusts and CCGs on five NHS reconfiguration projects. To compare health services in London, find out about your local services as well as get news and information about events, visit the award winning myhealthlondon website. Once there, you will be able to create a personalised account and receive information about healthcare services that matter to you as well as share your views about local services.